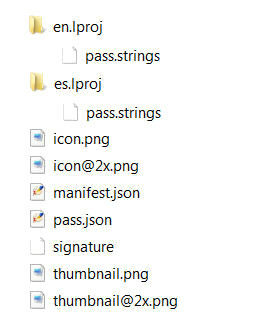 Great post, I made my first pass and works fine, just a doubt, when you internationalize a pass, is it necessary to include the pass.strings files within manifest.json? If so, what is the right way to do it? Thanks!